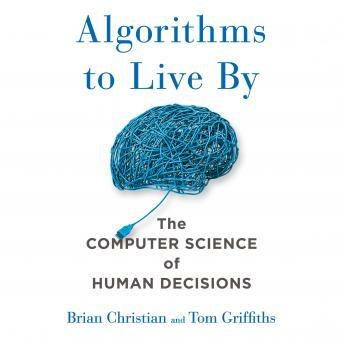 Listen to "Algorithms to Live By: The Computer Science of Human Decisions" on your iOS and Android device. All our lives are constrained by limited space and time, limits that give rise to a particular set of problems. What should we do, or leave undone, in a day or a lifetime? How much messiness should we accept? What balance of new activities and familiar favorites is the most fulfilling? These may seem like uniquely human quandaries, but they are not: computers, too, face the same constraints, so computer scientists have been grappling with their version of such issues for decades. And the solutions they've found have much to teach us. In a dazzlingly interdisciplinary work, acclaimed author Brian Christian and cognitive scientist Tom Griffiths show how the algorithms developed for computers can also untangle very human questions. They explain how to have better hunches and when to leave things to chance, how to deal with overwhelming choices and how best to connect with others. From finding a spouse to finding a parking spot, from organizing one's inbox to understanding the workings of memory, Algorithms to Live By transforms the wisdom of computer science into strategies for human living. The concepts introduced in this book were interesting for sure. But unfortunately, the author didn't go into any real detail. It appears as though the authors were far more concerned with the quantity of "algorithms" explored; than their quality. Further, the book was disorganized and ultimately left me -the listener- disappointed. The narrator was very clear. But, read a bit slow for my tastes. I opted to listen to this book at 1.25x speed.